Russia is a land of monumental size and beauty, with glorious cities, cultural landmarks of incomparable magnificence, and a history as captivating as it is complex. 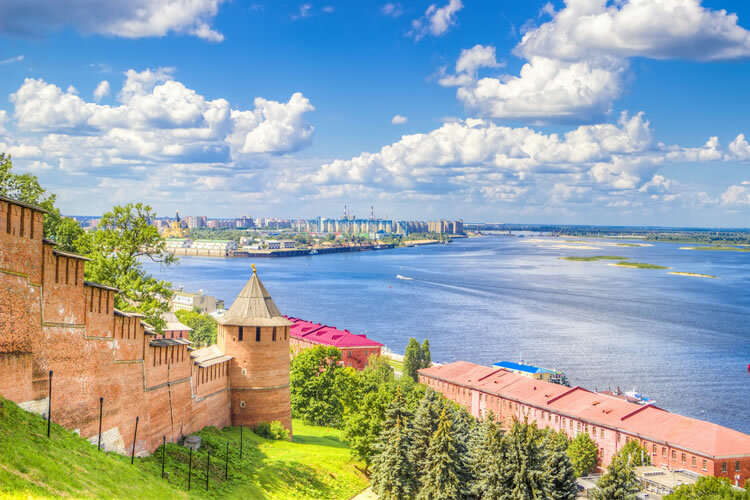 Many wonders of Russia will be revealed on this epic journey, starting in Moscow where a world of wonder awaits as you embark your luxury Russian river cruise. To travel along the Volga River between the two great cities of Moscow and Stalingrad is a step back in time. However, Russia offers up many additional surprises to discover, with culinary delights, welcoming locals and spectacular scenery to enjoy. We welcome you aboard Scenic Tsar, and into the beating heart of this captivating country. Welcome to Volgograd, where you will board the luxurious Scenic Tsar. If you had a hundred years, you wouldn’t exhaust all the wonder on offer here. Your day begins with a visit to the Kremlin, the intriguing seat of the former Soviet Union. In the State Armory, you’ll see priceless weaponry, jewels, and ceremonial robes. Highlights: The Kremlin; Enrich visit to the Memorial Museum of Cosmonautics. Depart after breakfast this morning. Moscow is the end of your cruise, but it will be the start of a lifetime of wonderful memories. Terms and conditions apply. All offers are subject to availability and operators booking conditions. Prices are based on two passengers sharing the lead in grade stateroom unless otherwise stated. All discounts have been applied to fares displayed. Savings of up to 40% plus free private door-to-door chauffeur transfers applicable to new bookings made by 15th February 2019. * ^Private door-to-door chauffeur transfers are complimentary within 75 miles of an airport where flights are available from, UK mainland only. For guests who live outside of 75 miles, an additional supplement of £2.00 per mile will be charged.^Itinerary operates in reverse, please call to confirm. †All drinks included except fine and rare wines and spirits. Offer can be withdrawn at any time. We charge a one-off small £20 booking fee. That’s it - nothing more and no add ons when you pay the balance. E&OE. ABTA P6710.